These days, we're favoring simple, fast meals over those that require more time and attention. One of our favorites? 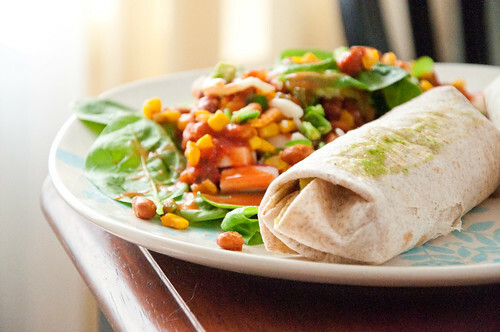 Burritos. We just toss anything we have in them. It uses up our leftovers and makes use of long-forgotten cans of beans and veggies in the pantry. Add some cheese, avocado slices, and salsa (or not -- anything goes), and the meal is complete. What's inside this one? It could be ANYthing! OK. Here's a clue. We used the overflow on the side salad. And we did hide some tofu in there, too! 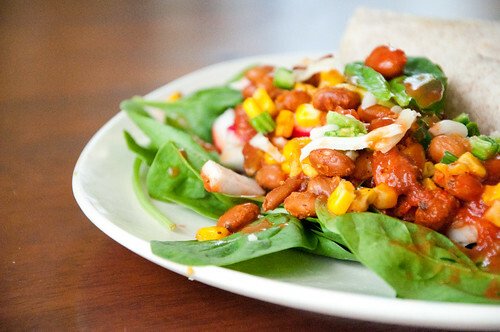 How can you ensure you are always able to throw together this simple meal? 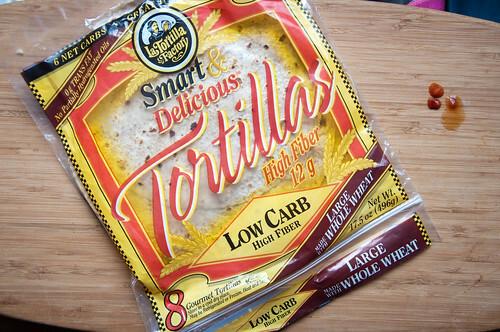 Buy tortillas versus sliced bread for your lunches. We make peanut butter and jelly on these guys -- but they are so versatile! We slice and toast for dipping in hummus. 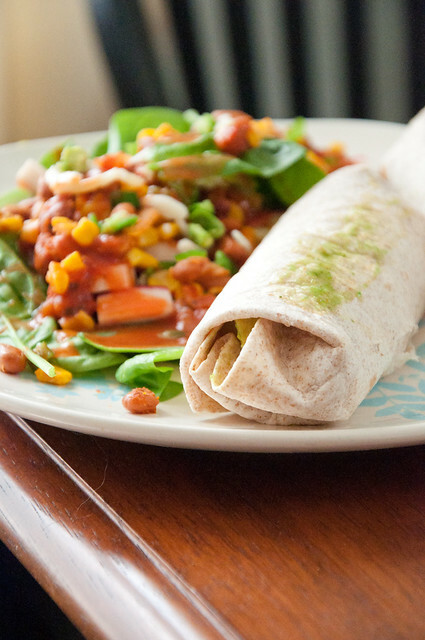 We also make simple Breakfast Burritos with 'em. 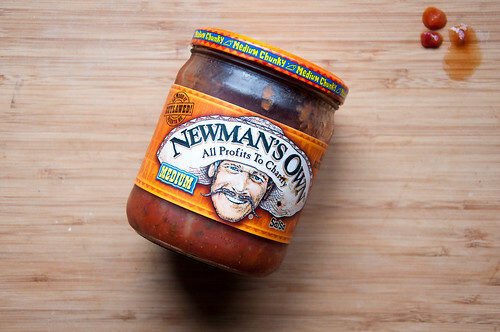 Keep salsa and canned beans, etc. on hand as well. The good news is that these ingredients keep well and are cheap. When you want to make the burritos, just gather your ingredients. Heat a pan over medium-high heat. Then get creative. Season as desired and cook until everything is warmed. I know I don't need to tell you how to make a burrito. But sometimes it's fun to feature the simplest meals. I tend to get caught up (and happily so) in overwhelming recipes -- so it's refreshing when a meal comes together in less than 10 minutes. And if you're following our pregnancy running posts, today on (never home)maker, baby! I answer Kathleen's heart rate tracking question.